This comprehensive 50-page ebook covers all aspects of how to break into the nature photography and travel photography markets. It is illustrated with numerous examples from my own photography career. However, it is much more than a step-by-step guide on how to replicate my journey. 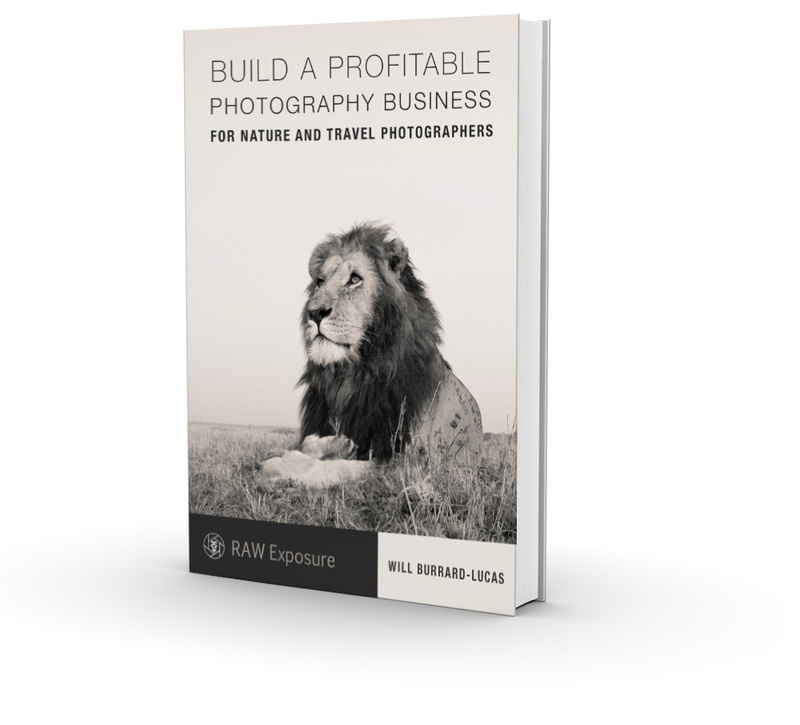 It will also teach you the fundamental principles and philosophies that will help you find your own unique path to building a profitable photography business. The ebook is divided into five sections, each covering a different stage of your journey. I will tell you how you can build a body of work that will form a strong foundation for your business and get you noticed in a competitive environment. I will tell you the three strategies that I employed to rapidly improve my own photography in the early years. I will also cover how you can take a shortcut to success that will allow you to compete on a level playing field with established pros in the field. I’ll end with some advice on how you can succeed even if you have a limited budget to spend on equipment and travel. Section 2 – Where are the money-making opportunities? This section looks at where the opportunities really lie. I am going to steer you away from focusing on the aspects of the photography business where money-making potential is declining. Instead, I am going to show you where tremendous new opportunities have arisen. After reading this section, you will have defined your target market. This is all about planning the products and services that you are going to sell to your target market. I’ll cover the pros and cons of several different product types such as licensing images, commissions, prints, photo books, calendars, workshops, photo tours, virtual products and more. I’ll give you the strategies and secrets behind how to profit from each of these different product types. I’ll make sure you are picking all of the low-hanging fruit and also look at how you can diversify your revenue streams so that you can build an efficient and sustainable business. This will start with looking at how you can decide where your time, effort and investment can be best spent in order to achieve meaningful results. I will provide advice on branding, building and promoting your website, growing your newsletter list, getting exposure in print publications and much more. This section also includes an introduction to social media, including tips for building your following on Facebook, Twitter, Instagram, 500px and more. Note that I have far too much marketing advice to share in a single ebook section which is why I have also created the comprehensive marketing course which goes into much more depth and takes a step-by-step approach to setting up your marketing channels. How to know when you are ready to go pro. How to outsource tasks to make your business more efficient. How to make deals so that you can travel for free. How to protect your images. Plus other tips on establishing and running a photography business. 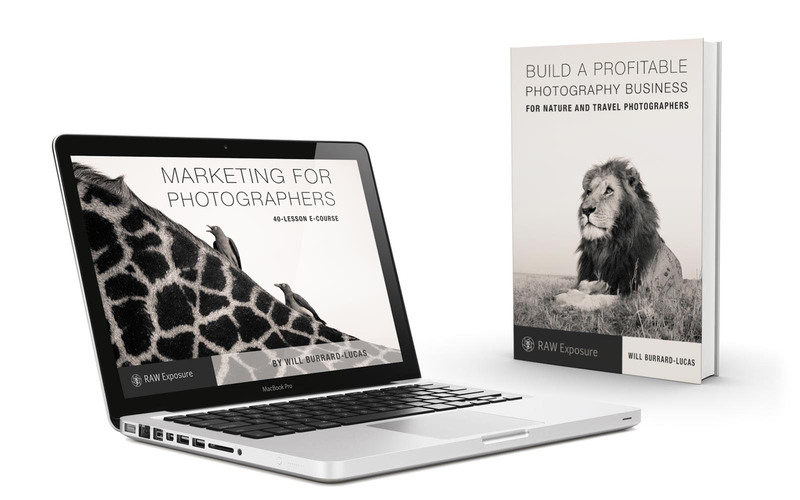 Get this ebook with my Marketing for Photographers online course. This ebook is also included with Lifetime Premium Membership. Starting out as a professional photographer, especially as someone with zero business experience, there are so many issues to consider that it can be quite overwhelming devising an initial plan of action. This ebook proved invaluable in clarifying in my head what I wanted to gain from my photography and translating this to a viable business plan. The advice, coming as it does from a photographer who has built up their success on their own and so who has presumably learnt from the odd mistake or two, also gave me the much-needed confidence that I will be investing my time (and money) in the best possible way. As a wildlife photographer, I’ve spent many years in the bush and have built up a considerable library of fantastic images. What I didn’t know was how to take my work to the next level, and Will’s excellent guidebook explains exactly what the process is to build up your business in an easy to understand, step-by-step manner. I found it informative, easy to use, and most of all, motivating to make the leap and get my work seen by a larger audience! If you’re not satisfied with this product after 30 days, just let us know and we’ll refund your money.